I know, it's early to already be thinking back to school! But this year, Target has some great bento stuff available for a limited time, so it's definitely worth considering, even though it's July! 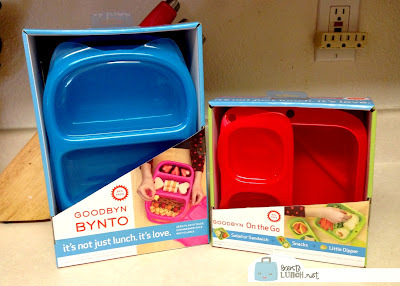 One of our finds are Goodbyn's Bynto and On-the-Go set. These are normally not stocked at Target, but they are currently shelved in the back to school section with the lunchbox items. The Bynto (on the left) comes in blue or pink and features three compartments which should hold nearly everything you need for a lunch! The On-the-Go set (right) is available in red or green, has a larger container, a smaller dressing container, and a two sided medium container. Both sets retailed for $8.99 at my Target, which I think should be standard pricing across the US. 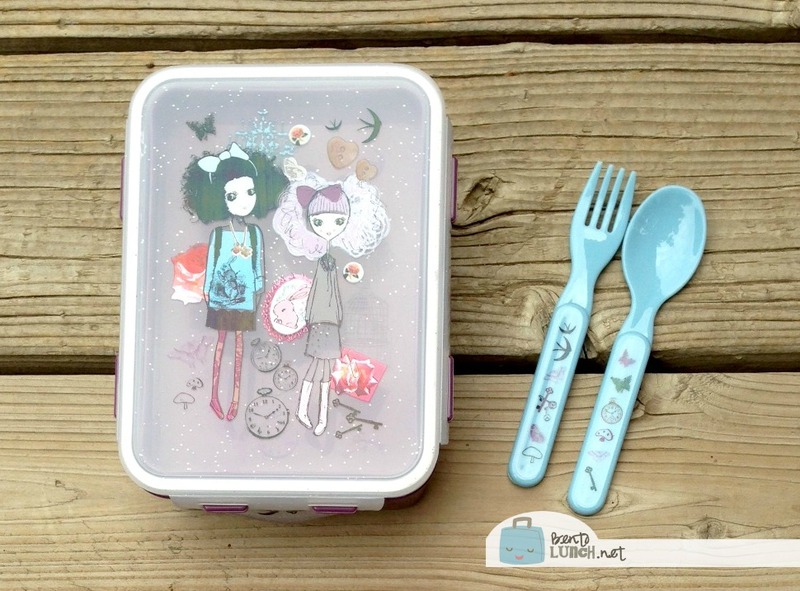 My other favorite is from Paperchase--a funky Alice in Wonderland style box with matching fork and spoon. 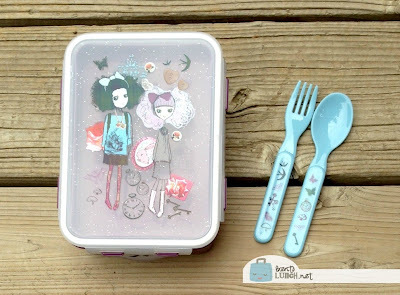 The box itself has a movable divider, a shallow top tray (for cutlery, napkins, etc), and Lock&Lock style snap lid. The Paperchase products are near the cards, wrapping paper, craft area, at least at my Target on an end cap display. The box included the silverware and was available for $7.99. Since Faith loved the pattern, we got one of those too! 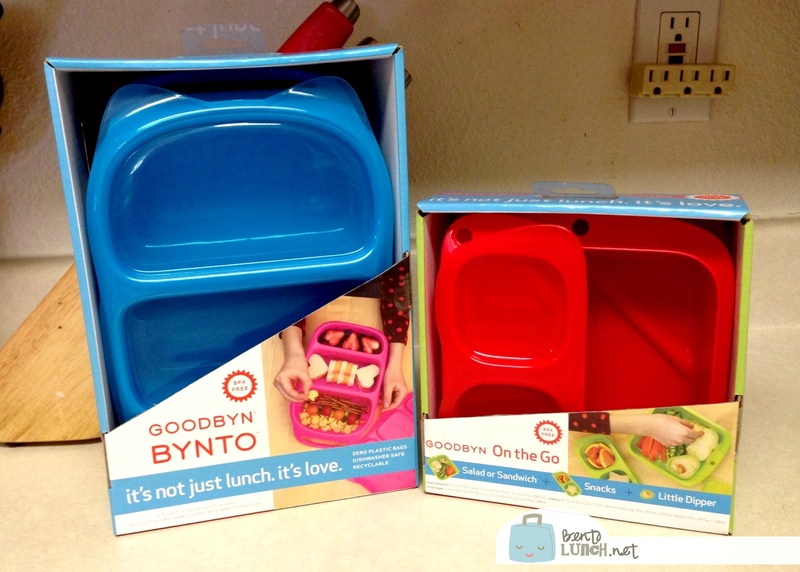 Any of these would be a great start for school bento boxes or even summer camp! And you can't argue with getting them in-store with no shipping. These are great. We picked up the Paperchase box too (I think it will be saved for mama). Our store had the Bynto but not the other set.. will be watching for them too!